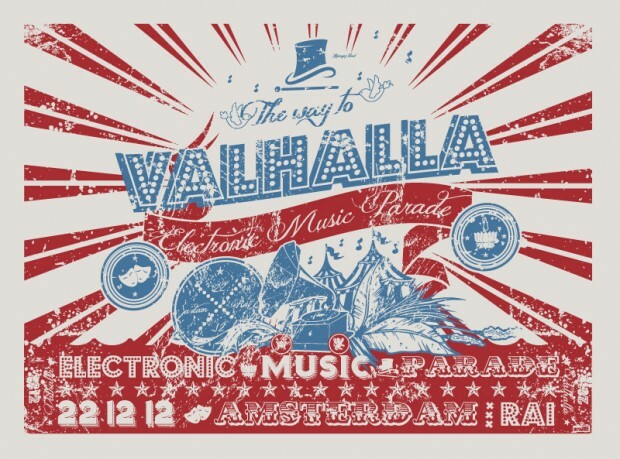 Electronic dance music is booming, and Amsterdam is at the forefront of this explosion. Our artists are taking over the world and our nightlife is as strong as it has ever been. The Amsterdam Dance Event is the biggest dance event in the world, and I would dare to say we have the highest festival density ever seen anywhere too. And today, another baby is born: Valhalla sees the light. This new winter festival aims to bring together the organisations, sounds and people from every corner of our little town. Disco, house, techno, dub, eclectic.. pioneers from the full spectrum of electronic music are all represented. Let’s get a bit more specific. For this new indoor event the massive halls of the RAI will house a collective of Amsterdam’s best promoters, DJs and live acts. I will walk you through all nine (!) stages and highlight a few of the acts that caught my eye. From the techno and house corner respected and successful organisations such as Dekmantel, FORMAT, Pleinvrees, Backstage/Nachtdivisie and Bar27 will be present with a line-up ranging from the hard techno beats of Ben Sims and Sandwell District to the quality house music of John Talabot, Matthias Tanzmann and Agoria. Next to these headliners are some interesting new gems to discover such as Frenchman N’TO and British Maxxi Soundsystem. And of course a host of local heroes, including Tom Trago, Secret Cinema, Boris Werner and Terry Toner. Fans of more banging electronica will find their way to the Apenkooi stage where Gesaffelstein and The Subs LIVE lead the line. Combined with Apenkooi’s notoriously extravagant acts and decoration this predicts madness. Similarly banging but also very different is the eclectic stage by GirlsLoveDJs, featuring an all-star line-up from their corner of the scene. Familiar and proven faces such as The Flexican and Yellow Claw will combine with UK’s Kissy Sell Out for what one could call a sure shot. What remains are the PaardenKracht and Colors areas, who will try to broaden the spectrum by offering the newer disco and UK/dub sounds that have been getting more and more popular in recent years. If you are a frontrunner or in the mood for discovering new stuff, go check out these ones. Don’t think they’re anything alike though. Bubbly boys and girls should go swinging to PaardenKracht’s disco, while rough men and women will feel at home at Colors with their bass face on.